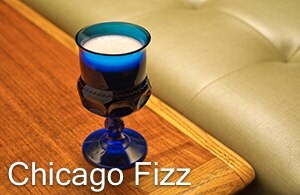 A compilation of our favorite cocktail coverage. 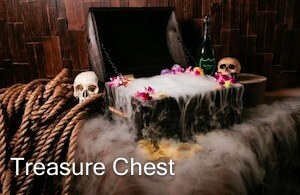 Here are some of our favorite concoctions: shaken, stirred, and dumped into a wooden treasure chest with some dry ice. The aviation was largely forgotten for 100 years. Now it’s back, thanks in large part to a TV show (and it’s not “Mad Men”). 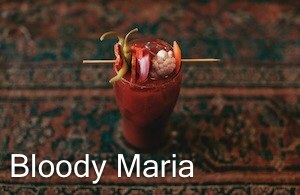 Dressed in a garnish crown of onions, salami, and peppers, this tequila-based brunch cocktail packs a punch-you-in-the-face kind of spicy. 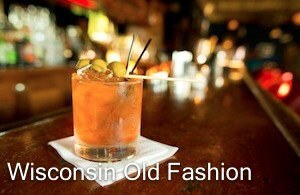 A mysterious cocktail from the Northwoods. There's brandy. And there's olives. 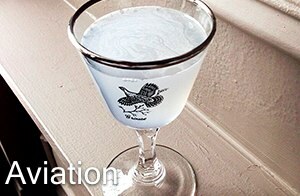 In the same glass. Like having your photo taken by strangers in bars? May we suggest a $400 crate full of flowers, dry ice, champagne, and rum? 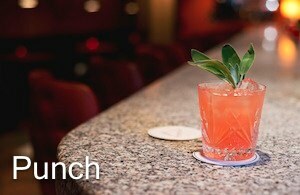 Sophisticated punches are grist for the nostalgia mill for a totally unironic, '50s-inspired cocktail. It was invented in the 19th century, but nobody seems to remember by whom. 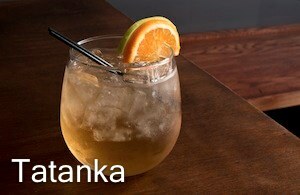 Known for its restorative properties, this drink comforted our writer in a small, tucked-away basement bar.